thanks Sharon................I am having an issue with an FHA appraisal. is this the same number to call for that too? Oh ok..............well the good news is.................IT DOESN'T MATTER if the homes is short sold or foreclosed on.............both ways of selling can cash in on the PMI. If you encounter issues with FHA or VA short sales, you can seek assistance directly from HUD or VA.
HUD (for FHA short sales): when you call, tell them you need to open a ticket. Phil, PMI does not pay the lender the loan in full from what I have been told. It also doens't matter if the bank foreclosures or short sales the home, the payout from the mortgage insurance company is the same. The gamble is on the lender to determine if they will get a better price with short sale vs foreclosure. Please correct me if I am wrong. 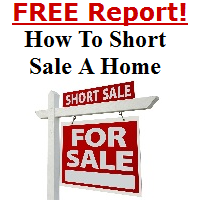 Julie- Has the seller requested a short sale and has the servicer issued a PFS. Thanks Phil, that make sense to me. Need Help with FHA short sale serviced by BofA. I have a friend that has had her house under contract since 4/4. BofA had done nothing but jerk her around. Everything was done that needed to be, file was esclatated etc. and still NOTHING. It was transferred out of short sales and back to Customer Care because no one ever opened the file. It has been a month and the Customer Care person will not call her or her agent back. Several messages have been left with supervisors etc and still nothing. Any suggestions?? Well, my BOA auction was a bust (surprise). The bidding was supposed to start 8/22. I gave auction.com all the paperwork required for a PA sale. Went to check the progress on 8/23 and it wasn't listed there. It wasn't on equator, either. Spoke to auction.com and they said it was a bank owned property and the seller pulled the listing. After some debate, they said management would call me back but never did. Tried to call the BOA negotiator and her voice mail box was full. Sent an email asking what was going on and several hours later, get an email from equator to upload the docs again. Auction.com sent an email apologizing for the confusion, but BOA took it back for further valuation. HUH? Had 4 buyers (including one of my own) that were going to bid. Called them back and said put in a regular short sale offer. By this time, the Realtors and/or their buyers were disgusted and I'm starting all over! Looking for some help on 3rd time selling a BofA, Fannie is the investor. List price is at $240K offer is at $240, comps in the building (its a condo) show $224K. BofA came back with a counter of $270K and is not looking at the comps I provided. I am trying to contact Fannie and having no luck. Does anyone have some guidance for my next step I should be taking? Thank you.